It’s one of the most popular and powerful Superman stories ever told, but it’s such an epic tale that it can’t be faithfully told over a single film. So when Warner Bros. Animation, DC Entertainment and Warner Bros. Home Entertainment adapt the famous story of the death and return of the Man of Steel just in time for its 25th Anniversary, it’ll be as two separate feature-length animated movies. Revealed at San Diego Comic-Con tonight at the packed Batman and Harley Quinn world premiere, the DEATH OF SUPERMAN adaptation was just one of the upcoming animated films in the popular DC Universe Original Movies line that was announced for 2018. First out of the gate will actually be Batman: Gotham by Gaslight, an adaptation of the popular 1989 tale that introduced us to a Victorian Era Dark Knight who was in pursuit of Jack the Ripper. Written by Brian Augustyn and drawn by Mike Mignola of Hellboy fame, BATMAN: GOTHAM BY GASLIGHT is largely considered to be the very first “Elseworlds” tale. At 48 pages, the original comic is relatively slim, meaning the movie version will offer an expanded version of the story, something that’s sure to delight fans of its cobblestone-paved world. That will be followed in the spring by Suicide Squad: Hell to Pay, the first Suicide Squad movie set within the DC Universe Original Movies’ shared continuity. (Batman: Assault on Arkham, the 2014 movie that also featured the Suicide Squad was set within the Arkham video game continuity.) Hell to Pay will feature an original story and what’s promised to be an amazing, though sadly not-yet-revealed, voice cast. 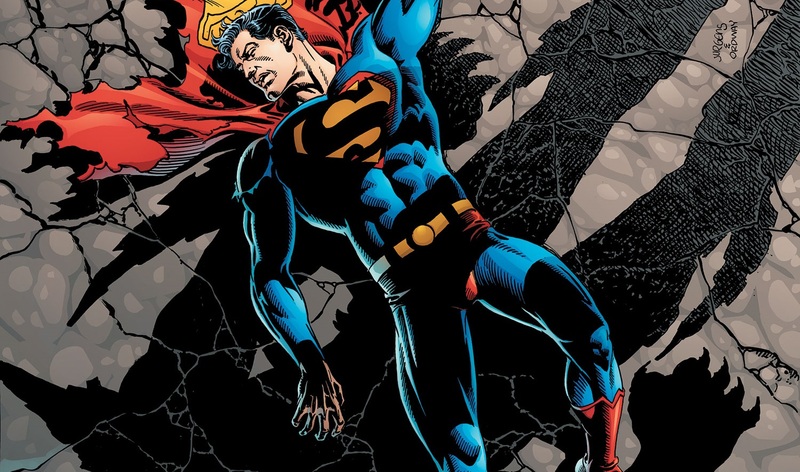 Rounding out the 2018 releases will be Death of Superman, the first part of the two-parter. Adapting the legendary story of Superman’s fatal battle with Doomsday, this will actually be the second DC Universe Original Movie to adapt the material. The first, 2007’s Superman: Doomsday, was the very first DC Universe Original Movie and greatly condensed and altered the original comic book event to fit within its 75-minute running time. The upcoming adaptation will be more faithful to the source material, much less condensed and will include many of the fan-favorite moments from the story that were left out of Doomsday. Finally, in early 2019, look for Reign of the Supermen, the second part of the two-part adaptation. While we’ll have to wait for an official synopsis to learn all of the details, that name should be a familiar one to Superman fans and suggests we’ll be seeing the rise of the Superman alternates that took his place during the year after his death. (For those unfamiliar with the story, they were Steel, Cyborg Superman, Superboy and the Last Son of Krypton.) This part of the Death and Return of Superman was greatly simplified in Doomsday, which instead featured a single alternate Superman rather than the four we saw in the comics. So what do you think, DCers? Ready to see The Death of Superman get the animated adaptation it deserves? And how excited are you to see Gotham by Gaslight and an all-new Suicide Squad film? Sound off in the comments below!